The way Max Verstappen has driven recently offers encouragement of a more open Formula 1 title race next year. Verstappen has been in typically daredevil form, with some overtaking moves of the highest class, and the Red Bull driver is aiming to sign off the season in style at this weekend's Abu Dhabi Grand Prix. F1 needs him to carry over his form into 2019, too. Because each year since 2014, the championship contest has been between Lewis Hamilton and one other driver: his former Mercedes teammate Nico Rosberg and more recently Ferrari's Sebastian Vettel. Although two of those championships went down to the last race — Hamilton won in '14 and Rosberg in '16 — it was always a two-way contest. This year and last, Hamilton beat Vettel into second place, with everyone else lagging behind. Given that Vettel's title wins with Red Bull from 2011-13 were overwhelming victories, there has not been a wider contest with multiple drivers since 2010, when several fought for the title heading into the season-ending desert race under floodlights at Abu Dhabi. Vettel won that dramatic race for his first F1 title. But Verstappen has finished this season so strongly he has surpassed Vettel and even matched Hamilton, which bodes well for 2019. Over the past four races, Verstappen has had four podium finishes including — a win in Mexico — for 76 points compared with 77 for Hamilton in the same span. But the tally would have been 83-70 in Verstappen's favour if not for a reckless attacking move by French driver Esteban Ocon in the latter stages of the Brazilian GP two weeks ago. Although he was already lapped and had no points to fight for, Ocon stubbornly refused to let race leader Verstappen past him and they tangled on the track, sending Verstappen spinning back to second and pushing Hamilton to first. It led to a heated incident after the race, where an irate Verstappen squared up to a grinning Ocon and shoved him three times in the chest before pointing an angry finger at him as he eventually walked away. Verstappen's actions drew criticism from some observers, but they also highlighted the 21-year-old Dutchman's fiery will to win. Despite his young age he already has five GP wins to his name, including two this season. Hamilton's Mercedes teammate, Valtteri Bottas, has not won a race this season despite having a quicker and considerably more consistent car. It fuels the view that Verstappen, in a Ferrari or a Mercedes, would already be a serious title contender now. He is fifth in the standings but could overtake Bottas and move up a spot at this weekend's Abu Dhabi GP. Verstappen is also more than 60 points clear of his Red Bull teammate Daniel Ricciardo, the senior driver, although the margin is blurred by the fact both have been undone at times this season by engine problems. Verstappen has failed to finish four races while Ricciardo's wretched luck has seen him retire from eight races. Yet both have managed to win two races each despite the car's inconsistent nature. 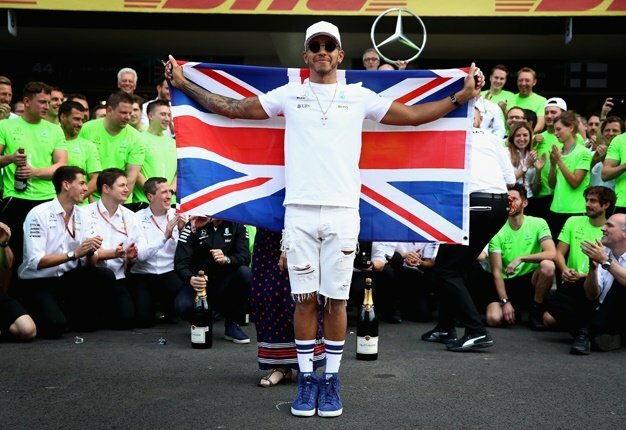 By contrast, Hamilton has finished every race except for Austria in July, and Bottas has finished all but two, underlining the more reliable Mercedes. The complex engine problems ultimately forced Red Bull to split with Renault as its partner and choose Honda from 2019. Yet there is no little irony in that switch now, considering how strong Verstappen has been in recent races when his engine has held up. It is a risky move for Red Bull to partner with Honda, considering the complications of the McLaren-Honda partnership in recent years. But Red Bull is optimistic Honda has sorted its problems out and will provide a more powerful engine than Renault. If so, Verstappen could well be pushing Hamilton and Vettel hard for the 2019 title.